I’m the type of blogger who never cooks the same dish twice. Seriously. Any time I entertain, my guests are guinea pigs. And while they may not appreciate this, it is actually the best way to eat my food because the second time around I am bored by the sameyness, cut corners and produce an inferior dish. Food boredom affects my restaurant habits too. I like to go and eat things that I have never eaten before. 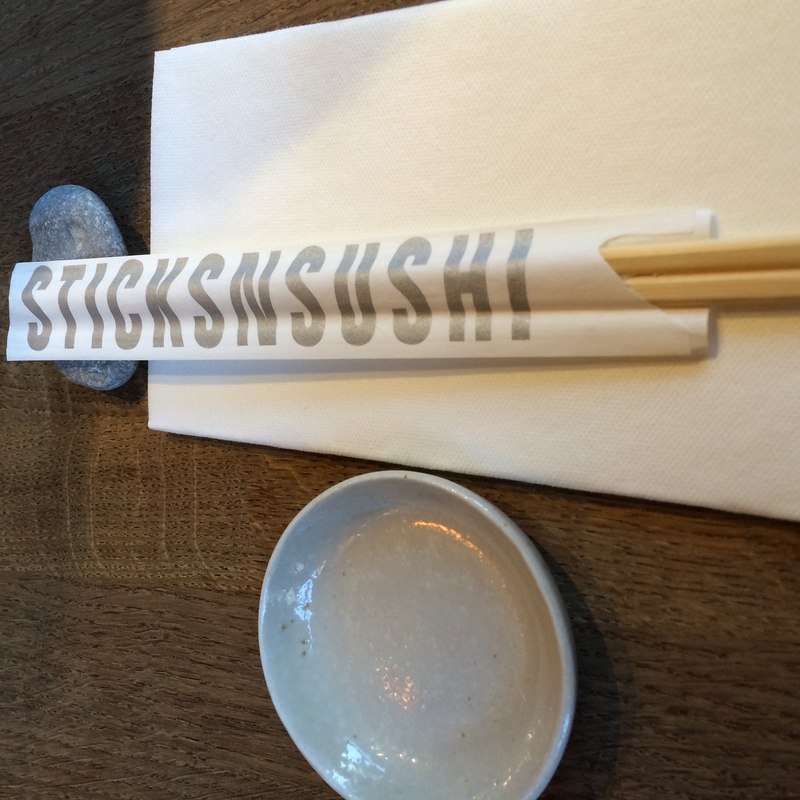 But somehow that intrigue stops at sushi, because (I am really going to offend someone with my ignorance here…) after the wasabi and the soy, what flavours are left to get excited about? 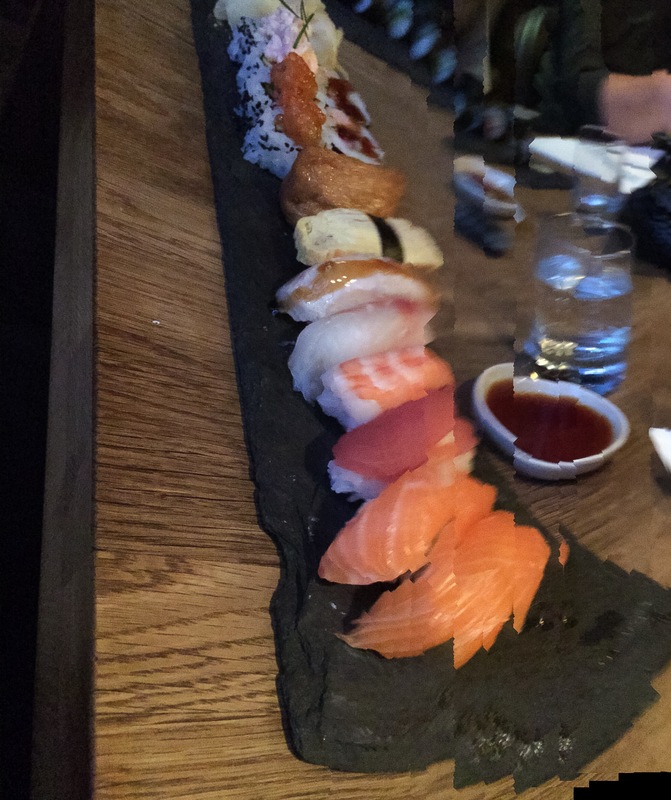 But sushi really is a dieter’s paradise, what with all that lean fish and simple rice (so long as you don’t eat too much), and when invited there by a group of friends I ordered the fish bowl to make the most of this scenario at sticks ‘n sushi. 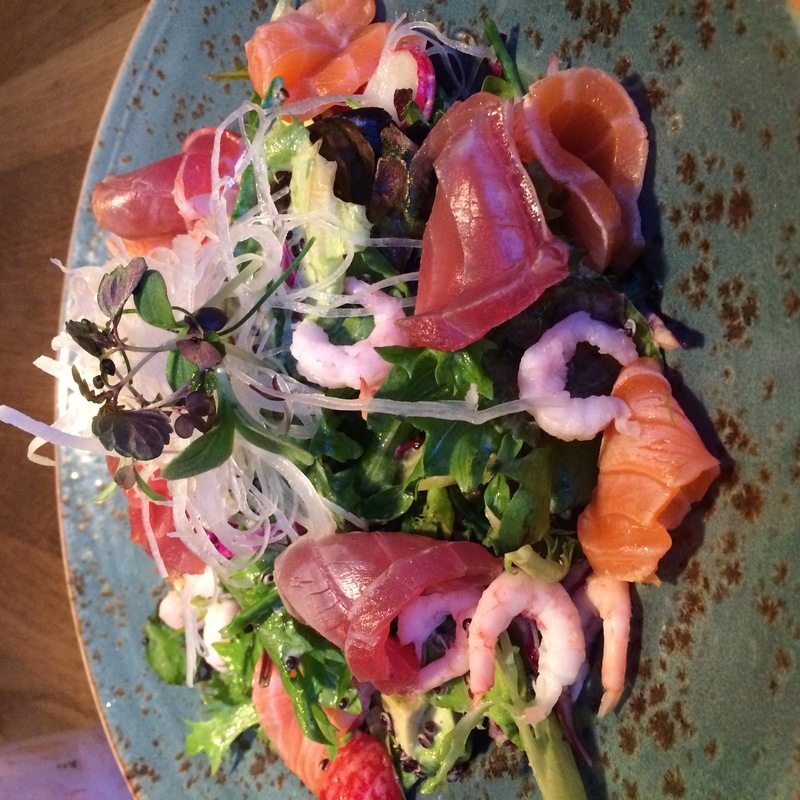 This turned out to be raw fish and salad. I could see mustard seeds in a dressing, but mostly the flavour was left to the lettuce and the fish. This was the first time that I have tried eating salad with chopsticks. Which is also probably a very healthy habit to get into. But I feel a bit unfair to judge sticks ‘n sushi by its fish bowl, which was a deliberate choice on my part not to eat too much on a relatively sociable weekend, so I should mention that many of my friends were having a great time eating what appeared to be a bean curd omelette, packed with rice and ‘something sweet inside’. Those that had this were all celebrating it. And the ‘sticks’, Japanese kebabs were generally more flavoursome. My virgin cocktail (the one with the liquorice) was also pretty good when the liquorice fed through the straw. The gently lit environment was pleasant, and other plus points were the mini desserts, the concept being that you could order just one, or nine and (possibly) more. But I was disappointed that there was no longer any black sesame ice cream, which has been discontinued, and had to be cajoled by the waitress into a yuzu meringue as I sulkily complained that the remaining desserts were not unusual enough. 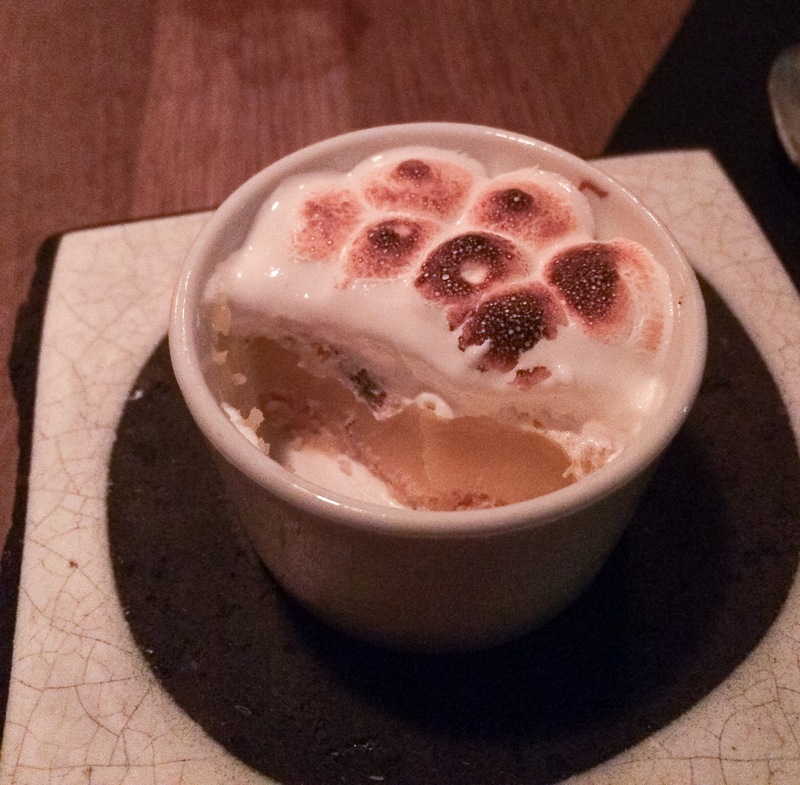 The yuzu meringue was actually remarkably similar to lemon meringue pie. But I will forgive it because of its unusual name. I wasn’t on a diet… so I had loads of delicious sushi (which suddenly made sense of sushi for me), sticks and sticky rice. This entry was posted in Sticks and Sushi and tagged cocktails, fishbowl, Greenwich, Japanese, rice, se10, sushi by blackheathcoffeeshops. Bookmark the permalink.